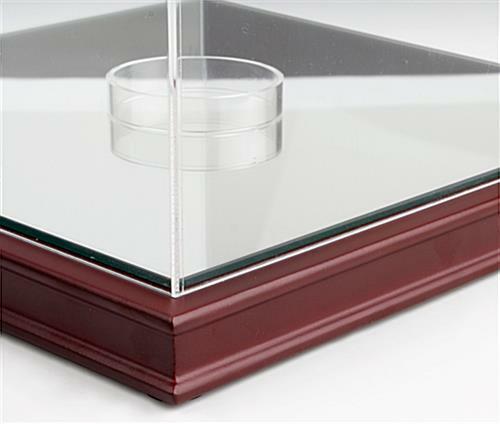 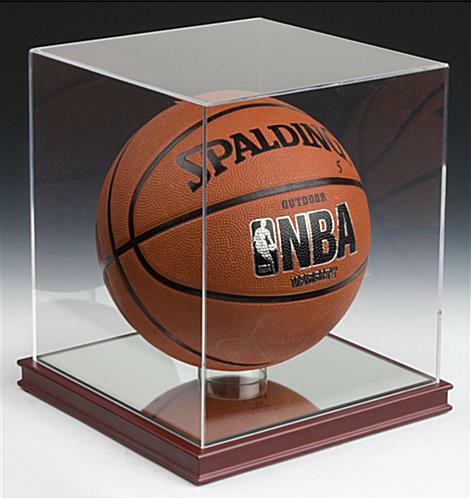 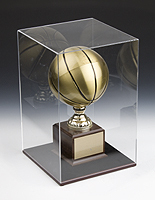 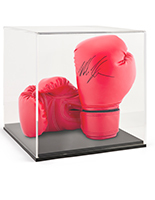 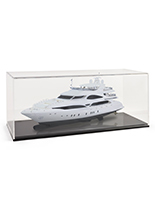 These cube display cases are ideal for showcasing basketballs and autographed sports memorabilia. 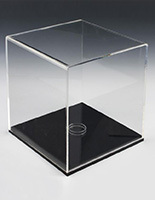 Each of the fixtures is made of clear plastic for protecting their contents from dirt, moisture and finger prints. 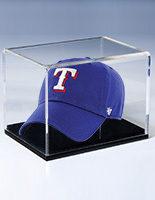 The display cases each have a mirror base that helps them catch the attention of visitors. 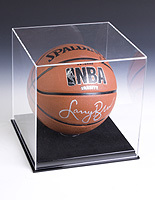 In additon, the basketball holders feature a removable riser that can support round objects. 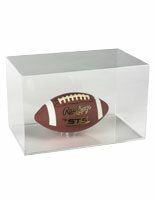 The plastic cases feature a wood base that blends in with any residential, commercial or business environment. 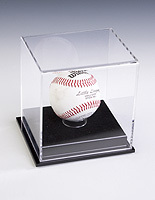 The sports memorabilia fixtures with a mirror bottom have a lift-off top for additional ease of use. 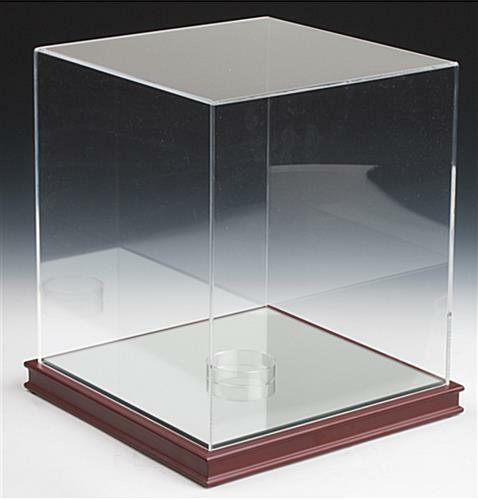 11.0" x 12.3" x 11.0"
9.9" x 10.8" x 9.9"
10" x 11" x 10"